Additional instructions on how to install the full version of Windows 10 on the Raspberry Pi are available on the linked page, though most developers will probably notice the whole thing is easy as pie as they only need to select the drive for installation and to point to the Windows image.Why should anyone do this?Upgrading from Windows 10 IoT Core to Windows 10 ARM on a Raspberry Pi can provide developers with a series of benefits, though it goes without saying that most would just stick with Linux. 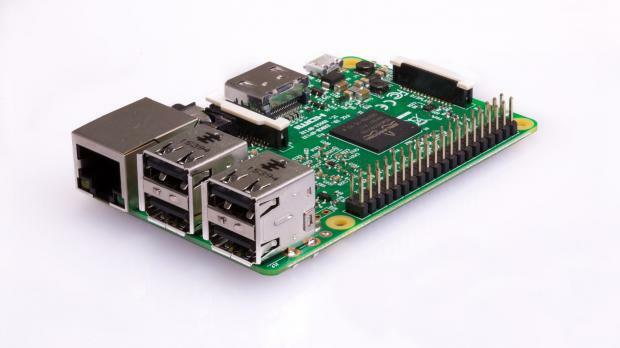 In fact, while Windows 10 on ARM installed on the Raspberry Pi can convert the little development board into a fully-featured computer, this thing was already possible thanks to Linux distributions specifically created for the Pi. While I haven’t tested this new application myself, Windows 10 on ARM could also require more resources to run smoothly on the Raspberry Pi, unlike Linux which has been heavily optimized to work much faster on this particular configuration. However, installing full Windows 10 is still an interesting idea as an experiment that many users might be trying thanks to this new application. What just happened? With a bit of elbow grease and patience, you can now run Windows 10 on the Raspberry Pi 3. The ARM version of Windows has been successfully ported to the mini computer, with the installer and configuration binaries now publicly available. 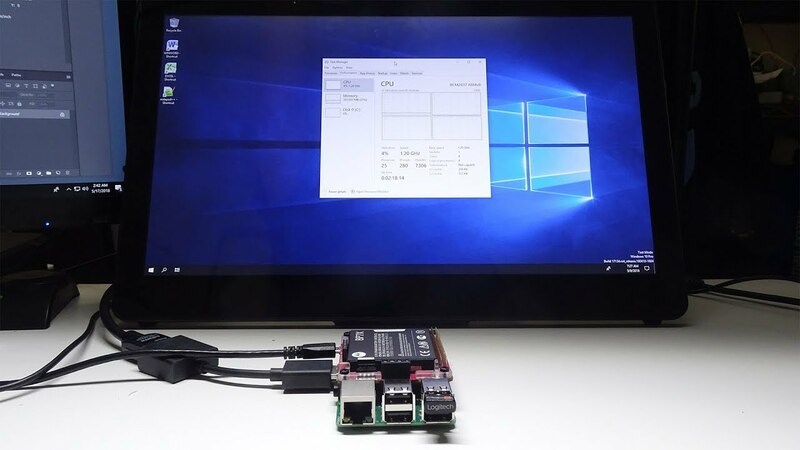 While the performance is predictably sluggish, it's an exciting proof-of-concept and opens the door for a full-fledged Windows experience on the Pi. Raspberry Pi is now ready for a complete OS experience. A new installer, made by the same people that got Windows 10 ARM onto the Nokia Lumia 950 and 950 XL handsets, lets you put the full Windows 10 experience onto your Raspberry Pi 3. You'll also need a Raspberry Pi 3 B or B+, a Windows 10 ARM64 image (which can be found linked on the GitHub page), and a decent microSD card with at least 16 GB of storage and an A1 rating. Prior to the full Windows ARM version, the only way to run Windows on the Pi was using the stripped down IoT Core. Windows has tried to branch out onto other ARM-based devices, like the HP Envy x2, with mixed results. Since x86 applications have to be run through an emulator, the performance was sluggish on the Snapdragon 835, with dramatically increased battery life and the full Windows experience being the main draws. The quad-core Broadcom BCM2837 CPU found in the Pi 3 is significantly slower than the Snapdragon, and it shows. I was able to get Windows 10 ARM up and running on my Pi and the performance left much to be desired. Even running on the fastest microSD card I could find, the Samsung Evo, performance was hindered by the CPU. I was able to get some simple x86 programs to run through emulation, such as HW Monitor and even Steam, but for day-to-day use, the performance may frustrate some. Boot times were in excess of 75 seconds and response times throughout were laggy. Reminding myself that the Pi is a $35 device running Windows 10 made me feel a bit better. Still, the proof-of-concept is important, and future versions of the Pi combined with refinement of the Windows ARM platform may make this viable for everyday usage. If nothing else, it's a cool experience if you have a Raspberry Pi laying around gathering dust.